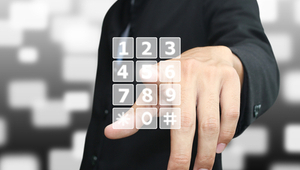 VoIP systems that provide call analytics features are often preferred by businesses and with good reason. Whether you run a small enterprise, overlook a team of call center representatives, or are the CEO of a budding startup, programs showing call analytics can help you track performance and ensure quality control. Most of the leading VoIP service providers include such intuitive software in their solutions and they are often not hard to find. How long does one call normally last? How long does it take for a customer to get their requests granted or questions answered when they talk to representative A? How long does a customer wait before their call gets placed? There is no such thing as “just another customer.” The key to ensuring high levels of customer satisfaction is to treat every customer as if they were the most important one. By using call analytics, companies can record calls, log call durations, and ensure that every customer gets the quality of support they expect. In addition to enhancing customer experience, call analytics can also go a long way in ensuring that the performance of employees is improved. Using the tools, managers can generate statistics like call count, average call duration, and availability for all the employees and reward the ones who stand out. By creating an environment of healthy competition, managers can ensure that all the employees are giving all they can. For a long time now, businesses have been using voice calls to advertise new campaigns and new products to customers. By using different call analytic tools, companies can examine their marketing strategies and formulate future plans that are more likely to convert prospects into customers. For example, if a company is running multiple ad campaigns and it wants to compare all of them to find out the best performer, it can do so by using different call harvesting and statistical generation features present in the modern call analytic tools. Important details pertaining to marketing leads like IVR responses, keyword source, conversion rate, average hold time, and average call duration can go a long way in helping businesses fine the best sellers. 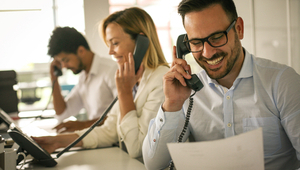 Even though the primary determining factors for call quality are your internet connection’s bandwidth and reliability, VoIP headsets are not far behind. These headsets range from 1$ to 400$ and choosing the right fit for your business is very important. There is no “need” to buy a fancy headset, but buying one that cancels noise adequately and delivers sound to both the ears clearly can make a real difference. Jitter and latency can kill your call quality but if jitter buffers and bandwidth upgrades don’t seem to make any difference, then try observing your network traffic. Make sure that your VoIP network doesn’t get too much data traffic. 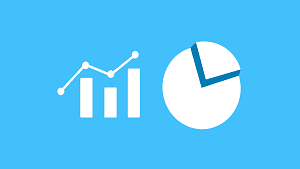 Call analytic tools are designed to give business owners a precise overview of how well the calling staff is performing and what steps are needed to be taken in order to improve the output of marketing campaigns and customer satisfaction. Most of the solutions provided by the famous VoIP phone service providers can be used in tandem with customer relationship management systems and this makes the process of analysis, reconciliation, and optimization a whole lot easier.